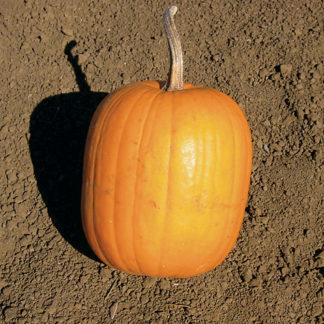 (20-24 lbs.) 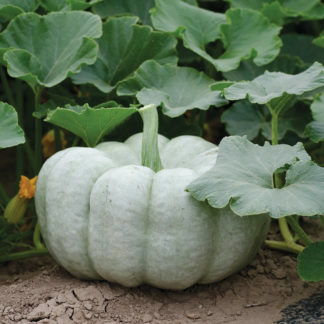 Blue Doll F1 Hybrid is an eye-catching blue pumpkin that has a flattened shape with deep ribbing. 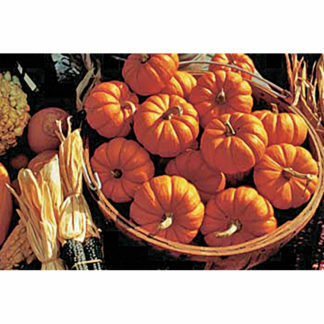 It’s sweet deep-orange flesh can be used for pies, soup and gourmet culinary delights. Full vine. PM tolerant. C. maxima. 100 days. 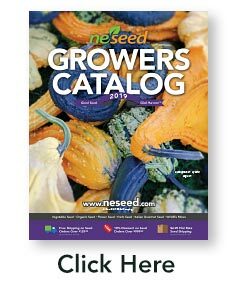 Great shipping fast service and great seed. One of our CSA members sent me an email in February (they picked pumpkins up in November) and said she finally got around to cooking it. It was the best soup she had ever made and asked that we please, please grow more! 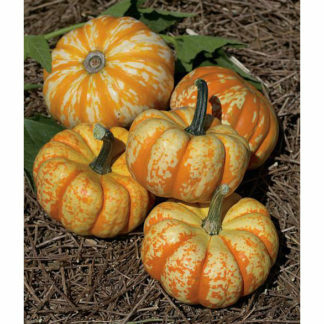 AT our u-pick pumpkin patch these sell quick and people look for them for both decoration and eating!